The fire recorded in all sectors. 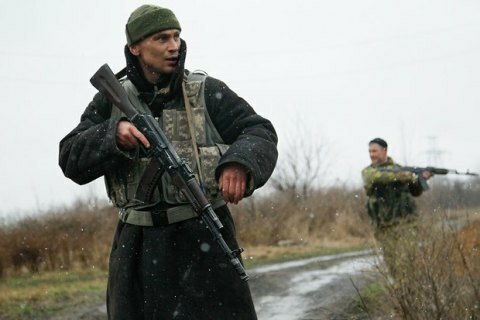 Over the past day, militants fired 44 times fired at the positions of Ukrainian army in the zone of the antiterrorist operation in Donbas, ATO press center reported on Facebook on 28 December. "Terrorists shelled our positions in all sectors. In the Mariupol they pounded Shyrokyne with 122-mm artillery; 120- and 82-mm mortars shelled Vodyane and Shyrokyne, Talakivka, Vodyane, Marinka, Pavlopil and Shyrokyne were fired at with grenade launchers and small arms. An enemy sniper was active in the area of Shyrokyne," the report says. In the Donetsk sector, militants fired 120- and 82-mm mortars at Novhorodske, Luhanske and Avdiyivka. Mayske, Luhanske, Zaitseve, Nevelske and Myronivske was attacked with rocket-propelled grenades and heavy machine guns. Pivdenne was fired at from anti-aircraft installations. In the Luhansk sector, militants used IFV weaponry, rocket-propelled grenades and heavy machine guns to pound Novooleksandrivka and Novozvanivka. NSDC Secretary Oleksandr Turchynov believes that 2017 will be a turning point in the liberation of the occupied territories.